Presented in a bilingual format that honours the poet's native Spanish language, this collection of poems represents a deep and spiritual inner-journey, taking on themes of femininity, desire, writing, and corruption. Exposing both the dark truths of female stereotypes and politics, the poems are bold and resonant. 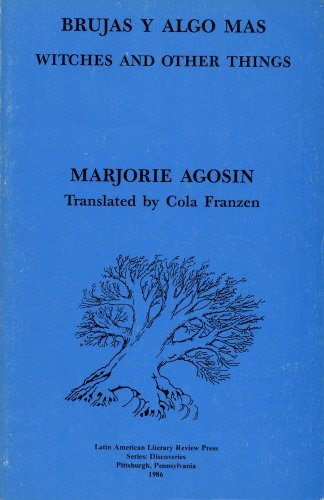 <strong>Marjorie Agosín</strong> is an award-winning Chilean author and poet, and is a professor of Spanish at Wellesley College. She is an activist and spokesperson for women's rights in Third World countries. Her honors include a National Endowment for the Arts, the Letras de Oro Prize for Poetry, and the Latino Literature Prize. She lives in Wellesley, Massachusetts. <br><br><strong>Cola Franzen</strong> is a writer and translator and a member of the American Literary Translators Association. She is also the vice president of Language Research, Inc. She lives in Cambridge, Massachusetts.